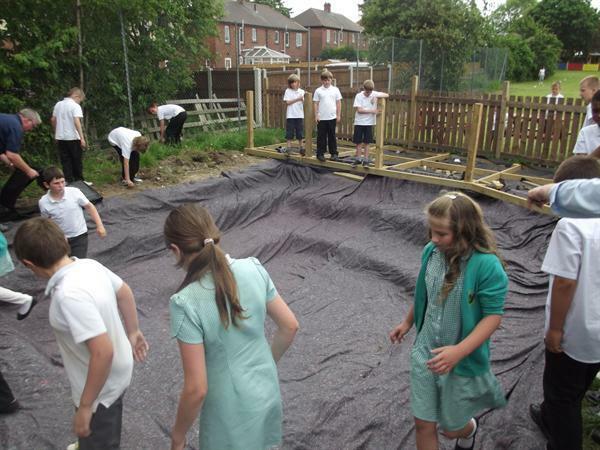 Our school pond is almost complete. 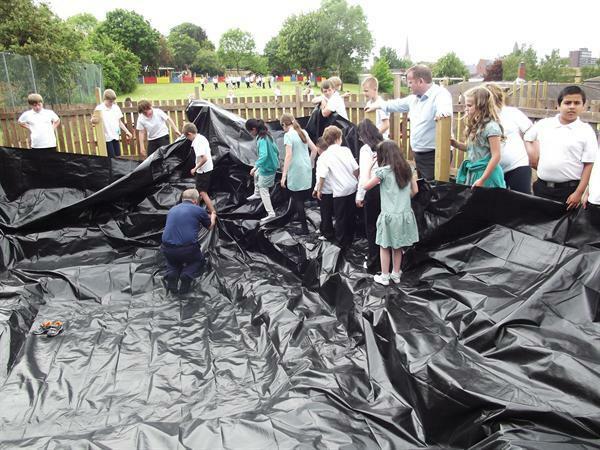 After weeks of digging out by the community team, it was time to put in the pond liner. 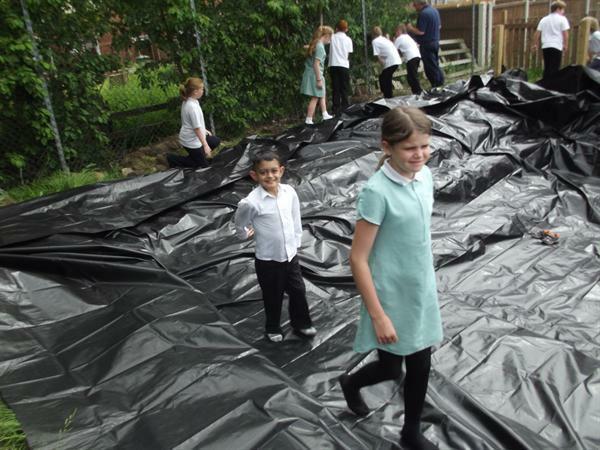 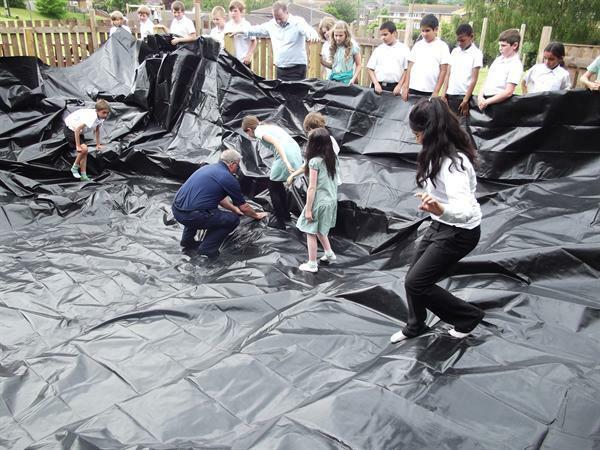 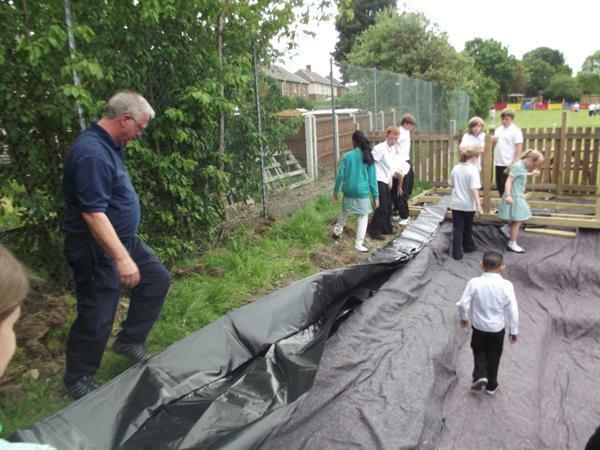 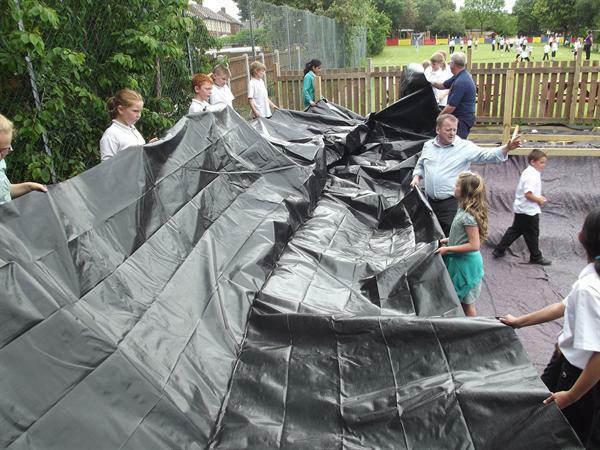 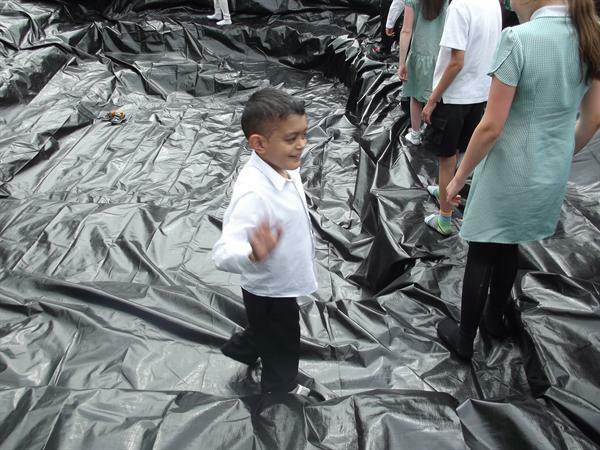 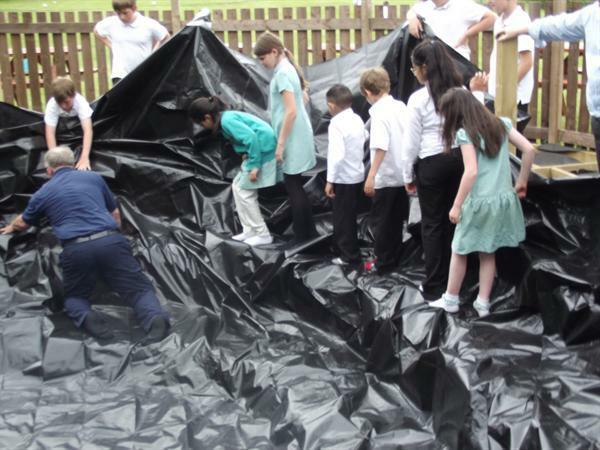 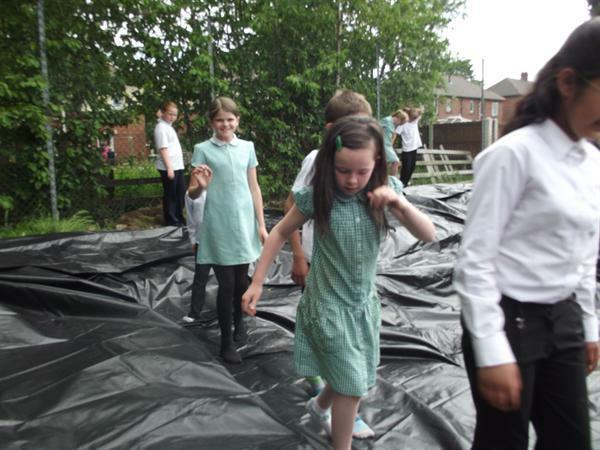 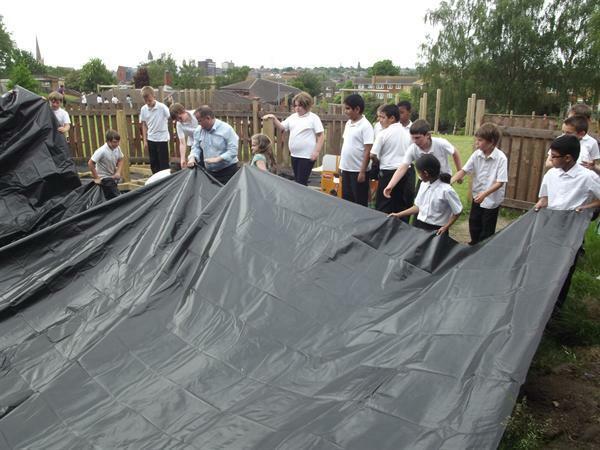 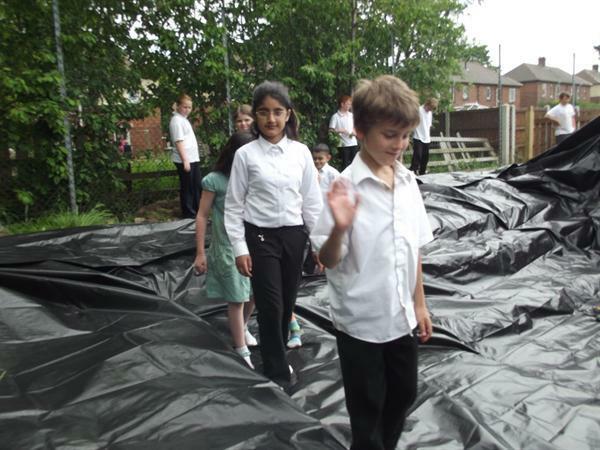 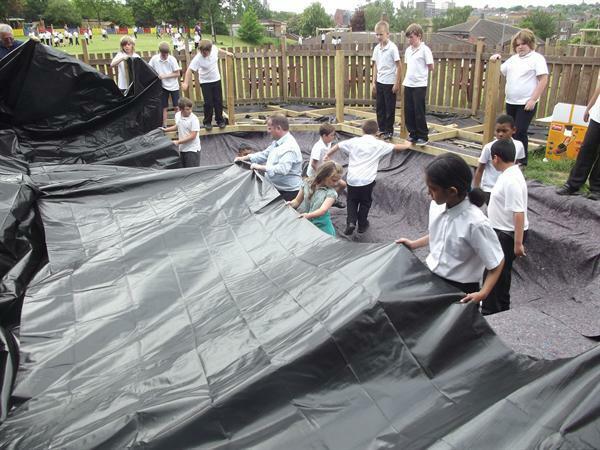 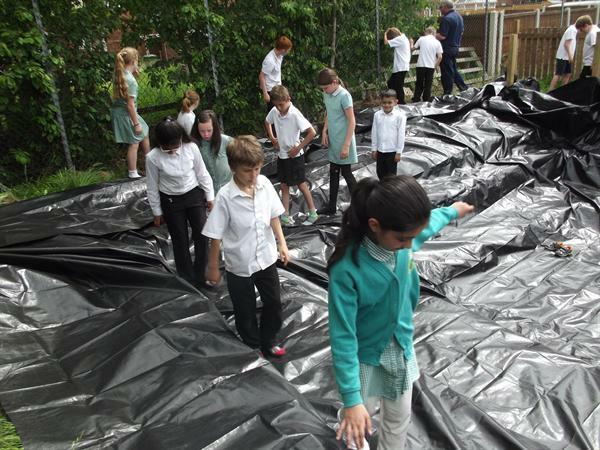 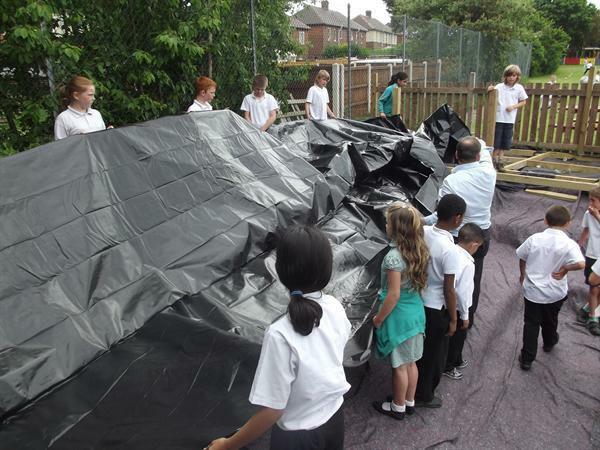 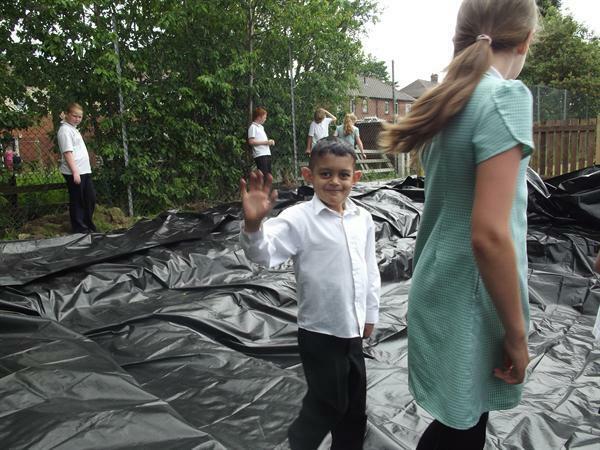 Year 5 children, along with some of their parents, took one ton of sand up to the pond to create a smooth surface before fitting the liner. 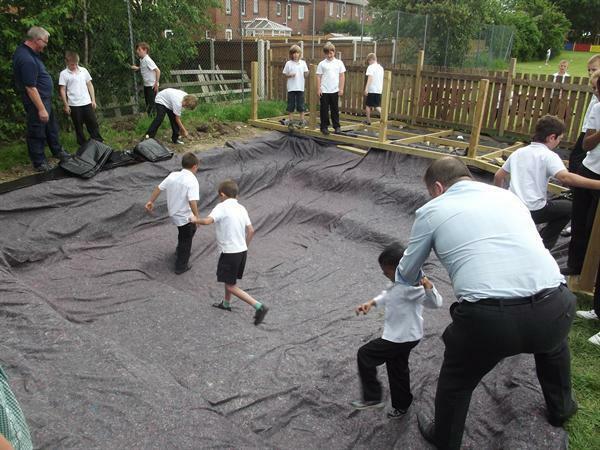 Mr Taylor and his team have been working hard to complete the decking area so that it will soon be ready for us to use in a wide variety of our work. 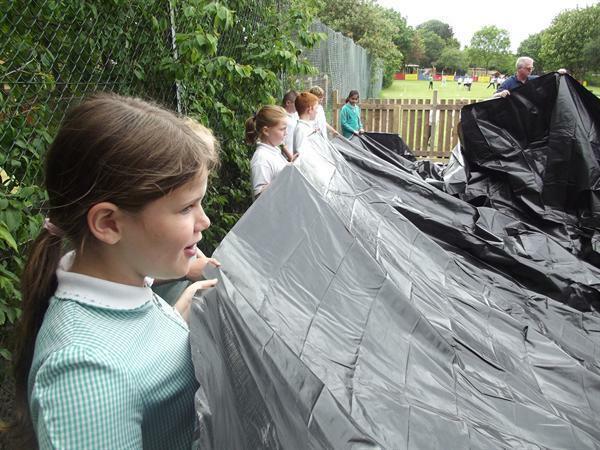 The photographs below show Year 5 in action.